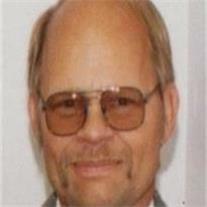 David Wayne Strong, 58, of Phoenix, Arizona departed this life in his home on June 28, 2011. He was born to Jack and the late Elaine Strong of Mesa, Arizona on February 27, 1953. He was married to Belinda Richard-Miller on March 11, 1995. He leaves to cherish his memory one daughter; Jill Strong, 2 brothers; Craig and Blaine Strong, granddaughter Raela Sisson and a host of aunts, uncles, nieces, nephews and an extensive network of friends. David was an avid motorcyclist, an American car lover and hobby mechanic. His life’s work was for the Department of Public Safety as a Telecommunications Technician. He belonged to the BMW Rim Riders and Limey Riders Motorcycle clubs. His family will receive friends and relatives on Tuesday, July 5, 2011 from 6–8 pm for visitation and Wednesday, July 6, 2011 at 10 am for funeral services at Bunker’s Garden Chapel, 33 N. Centennial Way, Mesa, AZ 85201; telephone 480-696-6883. Burial will be in Mesa City Cemetery, Mesa, AZ. In Lieu of flowers please send donations to the Juvenile Diabetes Research Foundation at www.jdrf.org.